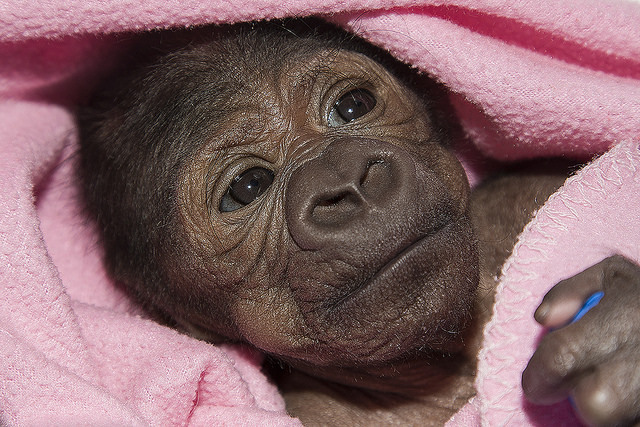 Western lowland gorilla Joanne, delivered by c-section. At two days old, Joanne was successfully treated for a collapsed lung by a team of San Diego Zoo Global veterinary and animal care staff, with the assistance of a human neonatal specialist and anesthesiologist from UC San Diego Health Systems. ©San Diego Zoo Global. All rights reserved. Online resource for anaesthesia providers and support staff. Prepared by Dr. Chris Thompson, MBBS, FANZCA, coordinator. USGS National Wildlife Health Center. 3D digital datasets of internal and external anatomy of specimens from the world’s universities and natural history institutions. Large representation of primates; growing coverage of other species. Primarily funded by Duke University. Web site of California Department of Public Health Center for Infectious Diseases. Local epidemiology news, data and statistics, regulations, etc. Website from LA County, focuses on prevention. Subject guide "Animal Diseases and Your Health"